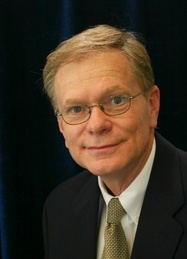 Dr. Haynes joined the Patrick Henry College faculty in fall 2008. He has been involved in research at the Howard Baker Center for Public Policy. Before going to graduate school, Dr. Haynes acquired extensive experience in grassroots politics and in state and local government. Dr. Haynes’ concentration is in the American Government/Politics and Public Administration/Public Policy fields. His research specialty deals with the organizational and managerial structure and operation of the modern White House. Since a number of our graduates find themselves working as staff members for government offices, or when they become government leaders themselves will have staffs of their own, Dr. Haynes' work on what makes staff members effective or ineffective can prove invaluable. The combination of academic expertise and practical experience that Dr. Haynes brings will help ensure that our government students have the best preparation possible for wherever God leads them. He teaches courses covering The Congress, The Presidency, Campaigns and Elections, State and Local Government, Practicum in American Politics and Policy, and Political Science Research Methods. He accepted the role as Chairman for the Department of Government in March, 2019.